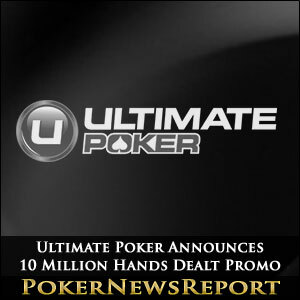 In less than three months, Ultimate Poker (UP) is nearing 10 million hands dealt and has announced a cash giveaway promotion to commemorate the achievement. 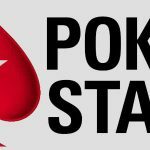 Taking a page out of the book of PokerStars, UP will award cash prizes to players seated at milestone hands leading up to and including hand no. 10,000,000. A total of 21 milestone hands will be featured, beginning with 9,000,000. Players seated at each succeeding 100,000th hand will be rewarded. However, once the hand count reaches 9,900,000, each new milestone will arrive at 10,000 hand intervals. Hands that qualify for the promotion include ring games and SitNGo tournaments. 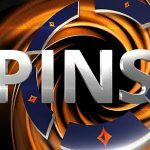 The winner of each milestone hand will receive $500, while players at the same table will become $50 richer. Should the milestone hands be dealt at cash games of $1/2 or higher stakes, as well as SitnGos featuring $20 buy-ins or greater, UP will double the awarded prizes to $1,000 to the hand’s winner and $100 to eligible tablemates. 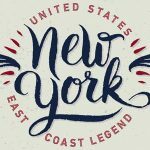 The lucky 10,000,000 milestone hand participants will see their accounts credited with even more cash, as $5,000 will go to the winner of the hand and $500 to the players who fail to scoop the pot. If hand no. 10 million occurs at the previously mentioned higher stake levels, $1,000 will be awarded to the 10,000,000 hand tablists and a cool $10,000 to the winner. PokerStars recently celebrated its 100 billionth hand dealt in almost 12 years of existence and gave away millions in its “Road to 100 Billion” promotion. Player traffic typically escalates greatly during such promos and Ultimate Poker is hoping to capitalize similarly with its copycat marketing strategy. UP passed its 60-day initial test run at the beginning of July and received a thumbs up from state gaming officials. That vote of confidence was necessary before a new software roll out could commence. Nevada gaming regulators have OK’d the implementation of UP’s 2.0 version, which is expected to be launched shortly. Coinciding with the software upgrade, UP is also expected to establish a new VIP player loyalty program entitled “Color UP.” Players will be categorized in eight separate levels or tiers dependent upon their time spent on the virtual felt monthly. Each tier will be identified by a color, hence the Color UP theme that Ultimate Poker hopes will entice players to play more in order to move up in levels. Rakeback details for each tier have not yet been spelled out, but are expected to be revealed along with the updated software roll out. Players will likely not be starting from scratch under the new VIP plan, as those who have grinded at UP since the April 30 launch will be placed in tiers according to the rake already generated.